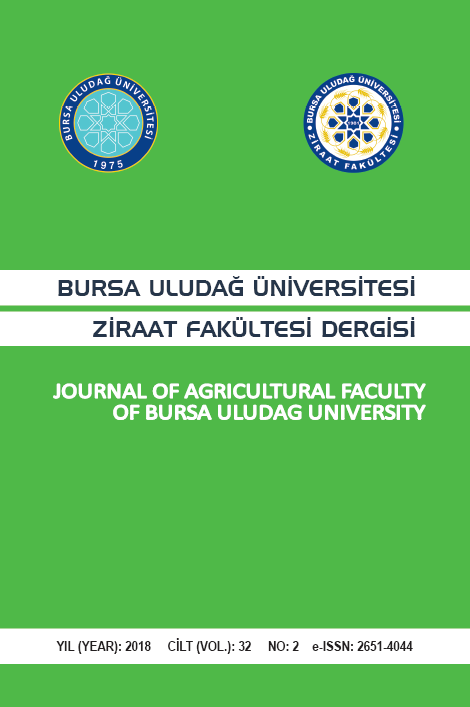 Journal of Agricultural Faculty of Bursa Uludag University, formerly known as Journal of Agricultural Faculty of Uludag University, is a refereed, academic, scientific, international journal published twice a year, in June and December. Garden plants, plant protection, bioenergy, bio system engineering, genetics, natural resources, food science and technology, animal husbandry, landscaping, ornamental plants and nature conservation, aquaculture, agricultural economics, agricultural machinery, agricultural biotechnology, agricultural structures and irrigation, field crops, soil science and plant nutrition, soilless culture, are the general topics of the journal. Research articles are primarily included in the journal and a limited number of reviews are accepted. Articles submitted must be original and written in Turkish or English. The submitted articles should be unpublished elsewhere. The submitted articles should not be published anywhere else. However, abstract only articles previously published in a congress or symposium may be submitted as full text.